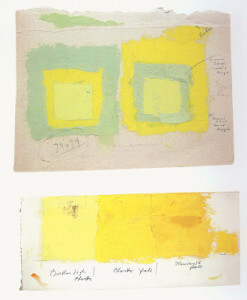 “Color is fooling us all the time”, so said color theorist and painter extraordinaire Josef Albers. 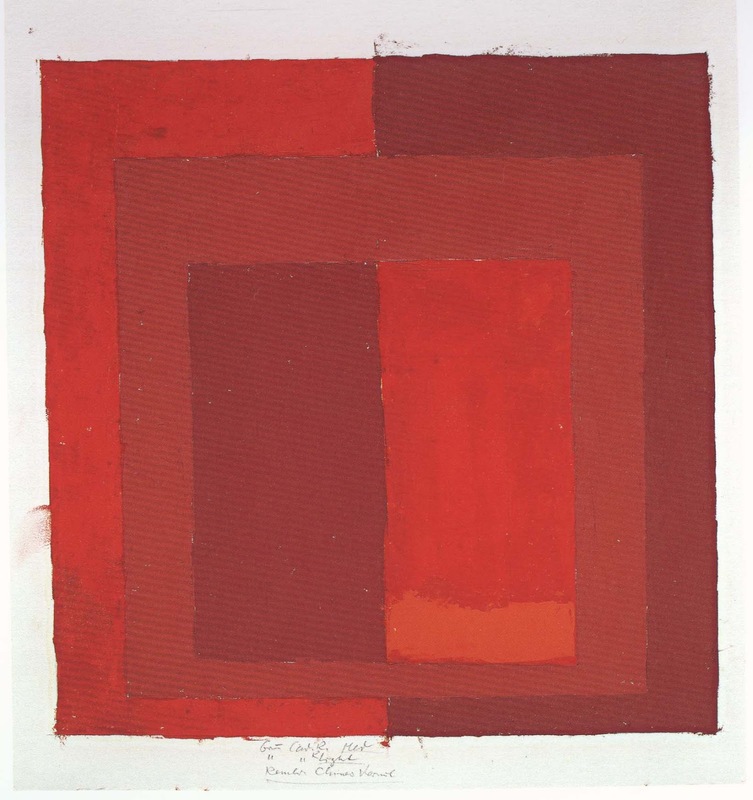 Josef Albers (1888-1976) a German painter, who taught at the Bauhaus, is best known for this minimalist paintings, advances in art education and influence in the study of color theory. Color study for Homage to the Square by Josef Albers , oil on paper, date unknown. 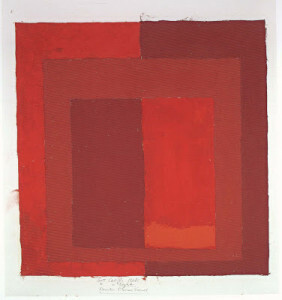 In September I had the pleasure of attending an exhibition of Albers’ works on paper at the Morgan Library in New York. 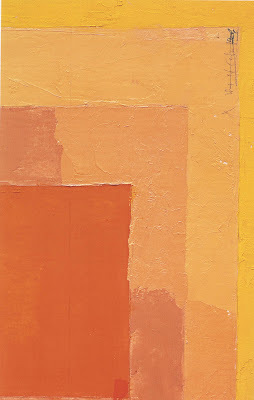 The show was intriguing in that it featured eighty of Albers’ works on paper. His working sketches if you will. They offered insight into his process of his signature style geometric painting. 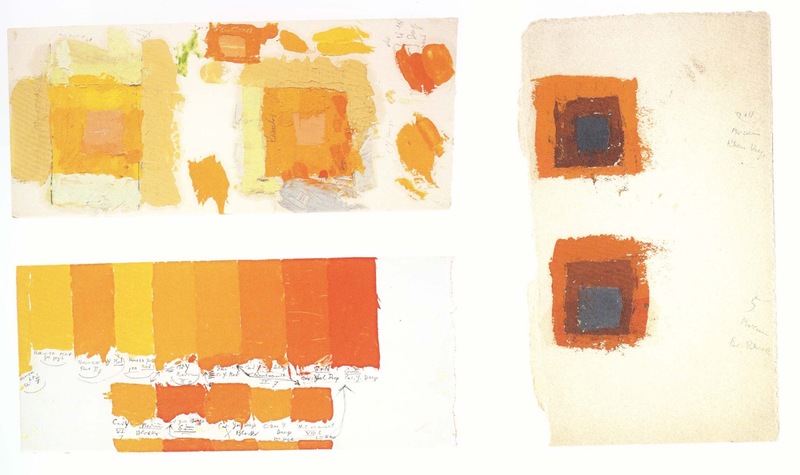 Josef Albers had a stellar career in art education transforming ideas on color theory. He taught at the Bauhaus, from 1923-1933, with such luminaries as Wassily Kandinsky, Oskar Schlemmer and Paul Klee, under the direction of Walter Gropius. 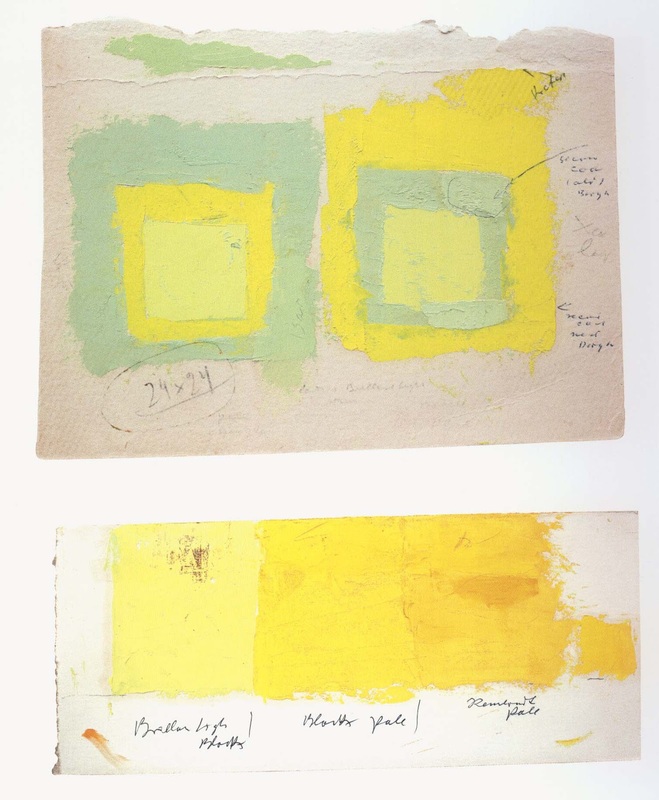 In 1933 he emigrated to the United States and became director at the Black Mountain College in North Carolina, where his students included Robert Rauschenberg and Cy Twombly. Finally in 1950 he landed at Yale Universityfor the duration of his career. 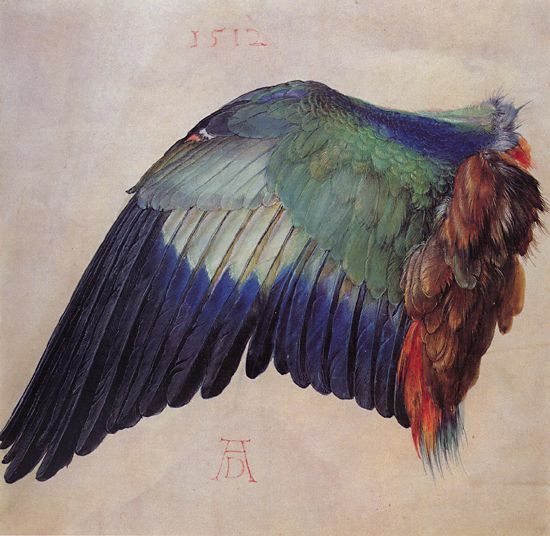 This is where he would spend the next 25 years experimenting with color and his geometric paintings. 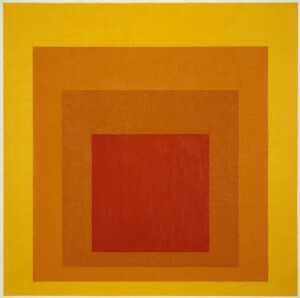 Albers is best known for his abstract painting of overlapping squares featuring color harmonies. He never mixed his colors, but rather used color directly from the tube applied carefully with a palette knife. 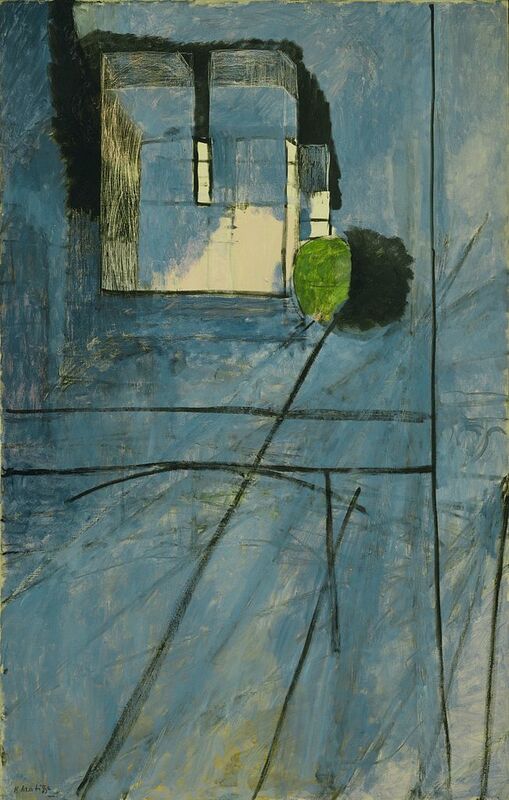 His small scale, hard edge, symmetrical compositions were a response to the large and gestural works of the abstract expressionists and he would go on to influence movements such as minimalism and op art. From 1950 until 1976 Albers focused on his homage to the square or as he said “I am not paying “homage to the square”. It’s only the dish I serve my craziness about color in”. Indeed Albers was not crazy, but methodical in his observations on color harmonies. 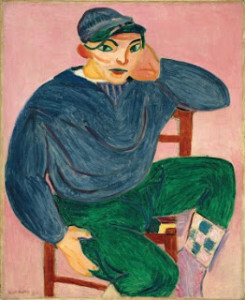 He noted on each piece what colors he used and what manufacturer made the paint, he annotated his use of varnish and other medium “I am not an acrobat in my painting. I am a cook”. Josef Albers, oil on canvas, Hirschhorn Museum, date unknown. 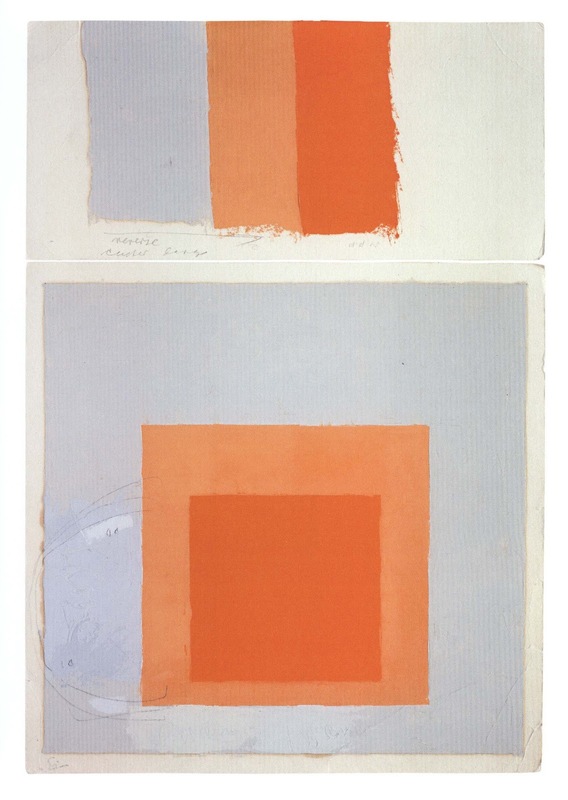 The catalog for this exhibition “Painting on Paper, JosefAlbers in America” includes a few fascinating essays by Heinz Liesbroc, Michael Semff and Isabelle Dervaux. 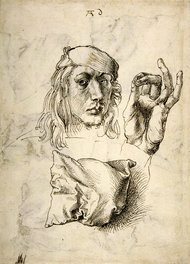 It was a pleasure to view the “Durer to de Kooning, 100 Master Drawings from Munich” exhibition at the Morgan Library in New York. 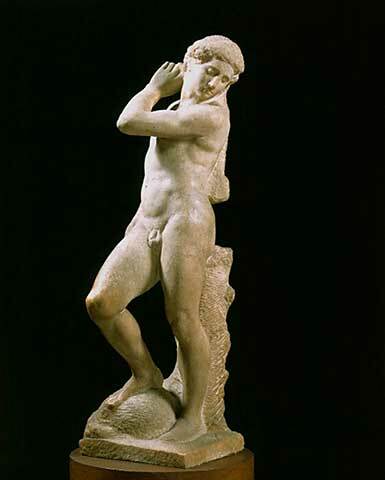 The Morgan is a wonderful, intimate museum and often features master drawings exhibitions. 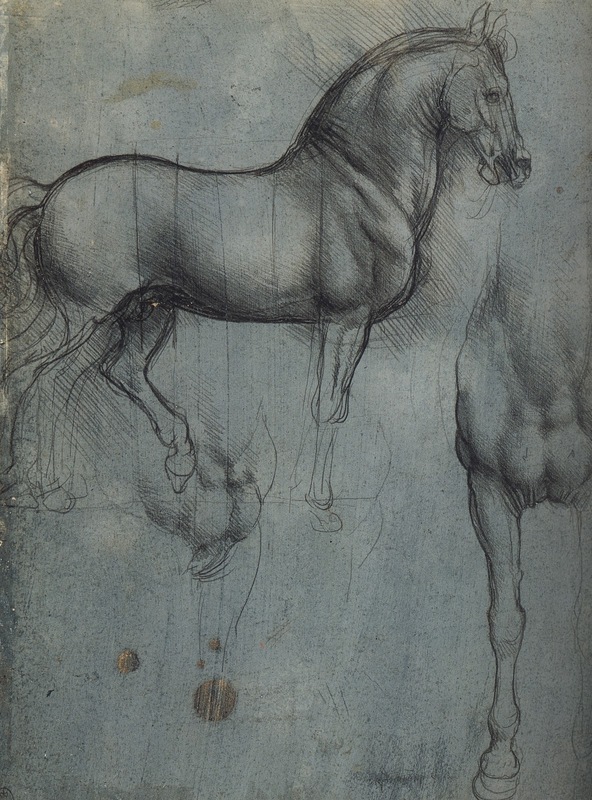 Those of you who follow my blog known I have a passionate interest in master drawings. I enjoy looking, studying and copying them. 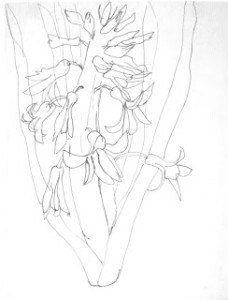 I enjoy using master drawings techniques in my work. Since I have been using pen, ink and wash, charcoal, and red chalk as of late I decided to focus on drawings in the exhibition that utilize these materials. All the drawings in this exhibition were truly masterful and compelling in their own way. The ones I was most attracted to were done in a rapid visualization style and showcase an energetic rather than meticulous style. Jacopo Pontormo’s (1494-1557) red chalkdrawing Two Standing Women, (1530) is stunning for its sense of animation and confident three dimensional rendering. I love the way Pontormo suggests the fluidity of the gowns without over rendering. 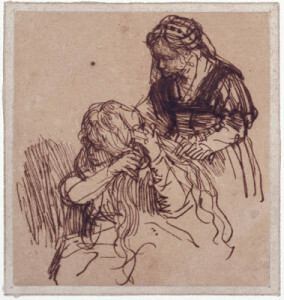 This short hand of line allows the viewer to wonder and speculate about who these women are. 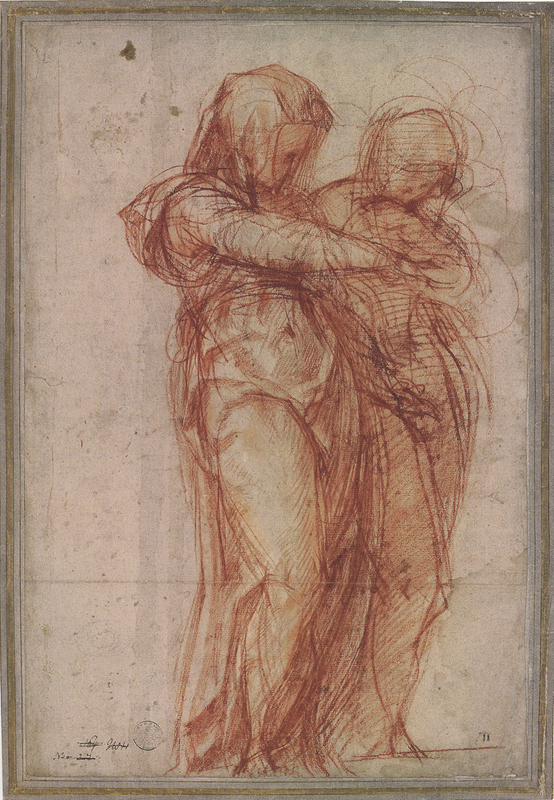 Red chalk drawing Two Standing Women by Jacopo Pontormo, 1530. 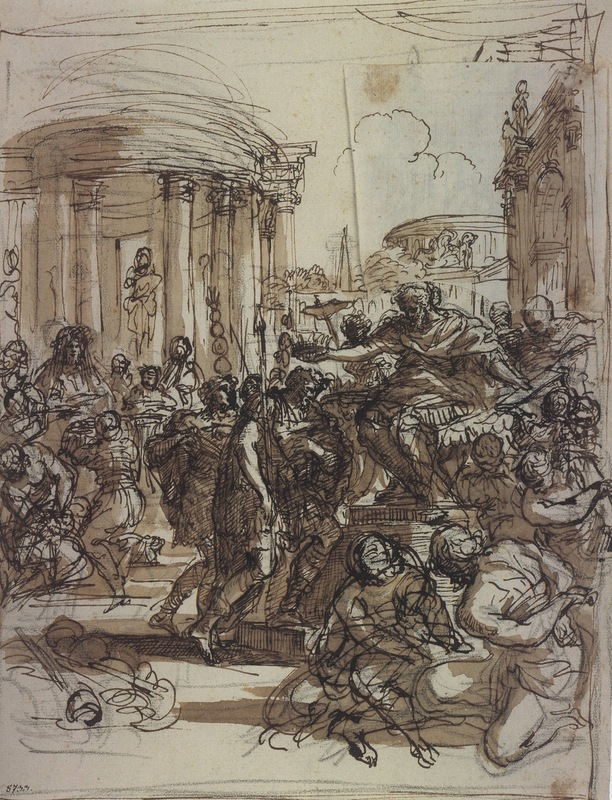 Pietro da Cortona (1596-1669), whose anatomical drawings I have long admired, surprised me with this dynamic pen and ink and wash portrayal of Age of Bronze: Design for a Mural in the Pitti Palace, (1641). 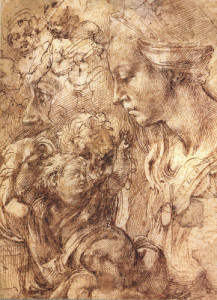 As you can see from the finished fresco, Cortona worked out many of the compositional elements in this initial sketch. 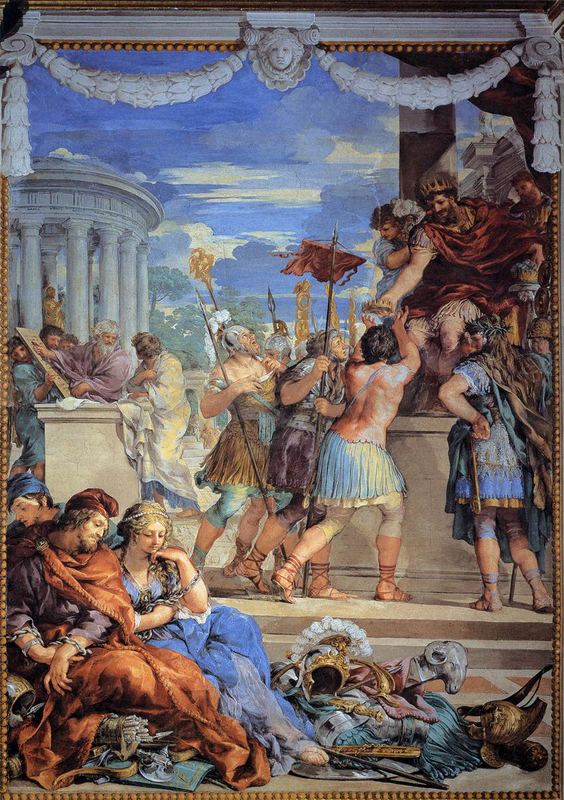 A pentimento by Cortona can be seen in the upper right hand corner. 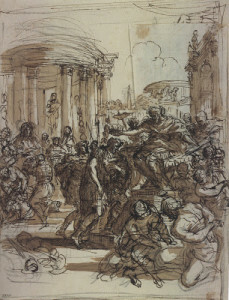 Pen and ink drawing Age of Bronze by Pietro da Cortona, 1641. 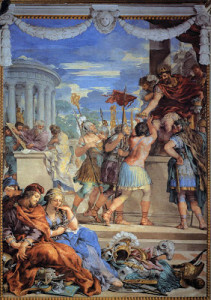 Fresco Age of Bronze by Pietro da Cortona, 1641. Rembrandt’s (1606-1669) pen, ink and brush drawings have an energy mirrored by his brushstrokes and layering of paint! 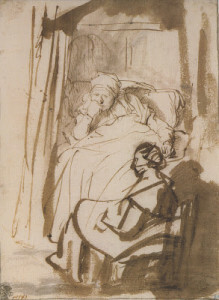 In his rapid sketch Saskia Lying in Bed, A Woman at Her Feet (1638) the focus is on Saskia (Rembrandt's wife) and her contemplative facial expression. She is drawn with delicate, decisive pen lines, while the bedroom and maid are loosely described with swift brushstrokes. Pen, ink and brush drawing, Saskia Lying in Bed, A Woman at Her Feet by Rembrandt, 1638. 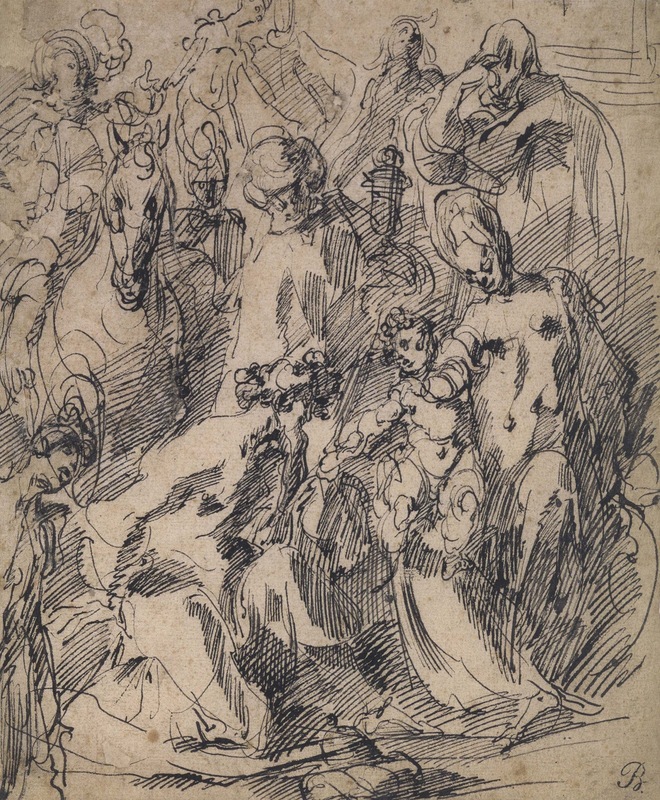 The pen and ink drawing Adoration of the Magi (1610) by Jacques Bellange (1575-1616) displays lively networks of hatched and crosshatched lines, which draw the viewer’s eye around this forceful drawing! 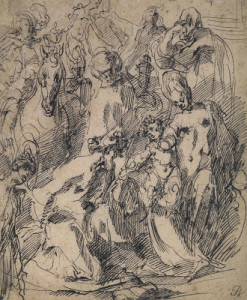 Pen and ink drawing, Adoration of the Magi by Jacques Bellange, 1610. I wish I could share all 100 drawings with you! I highly recommend the exhibition catalog by William M. Griswold and Michael Semff. And an excursion to the Morgan Library, always a delight! 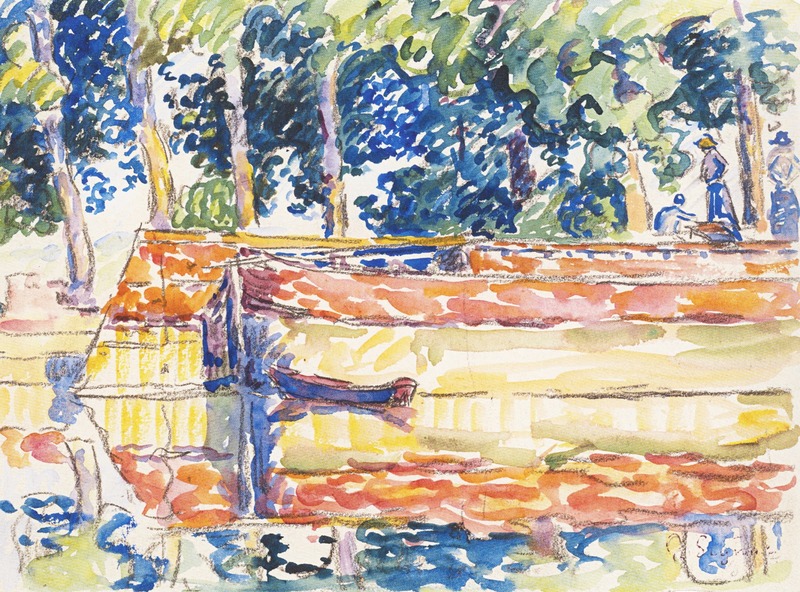 Yesterday I saw the new drawing exhibition, “Color, Line, Light,French Drawings, Watercolors and Pastels from Delacroix to Signac” at the National Gallery of Art in Washington, DC. The show was organized with Musée des Impressionnismes, Giverny and is on view in Washington, DC until May 26, 2013. A wonderful antidote for the doldrums of winter this exhibition includes an impressive array of drawings, many in full color, from the mid 19th century to the early 20th century. 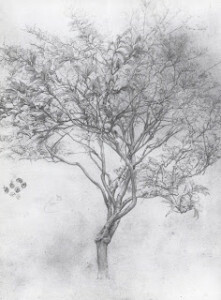 The 100 works, from the collection of James T. Dyke, show off many brilliant drawing techniques and subject matters ranging from landscape, still life to figures and portraits. 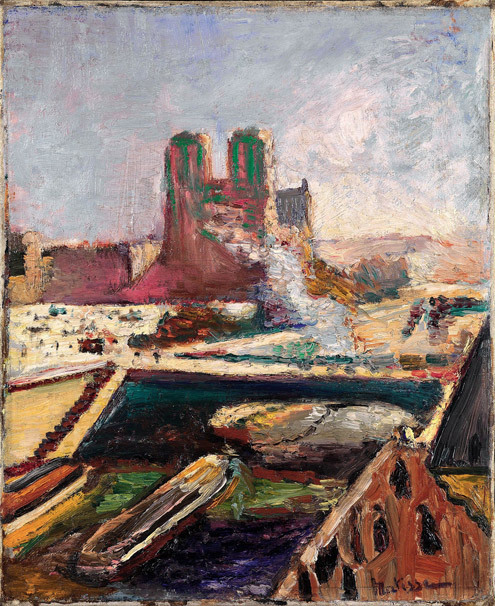 Indeed this exhibition will make you reach for neglected art materials and experiment! 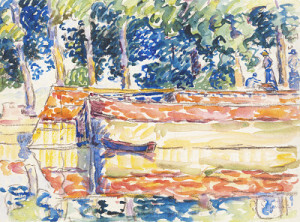 Paul Signac, Barges on the Seine at Samois, 1900, Watercolor and gouache. 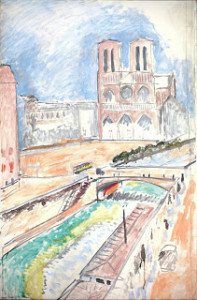 The drawing techniques showcased in this broadly ranging show includes watercolor, gouache, pen and ink, charcoal, pastel and mixed medium. 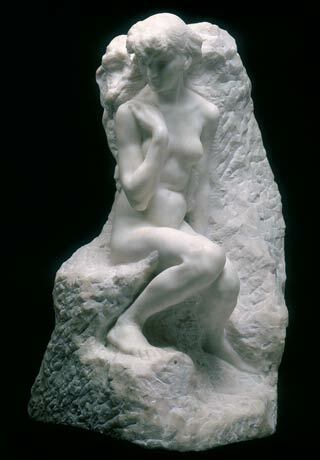 The periods of art represented include romanticism, realism, impressionism, postimpressionism, pointillism (neoimpressionism), symbolism and the Nabis. 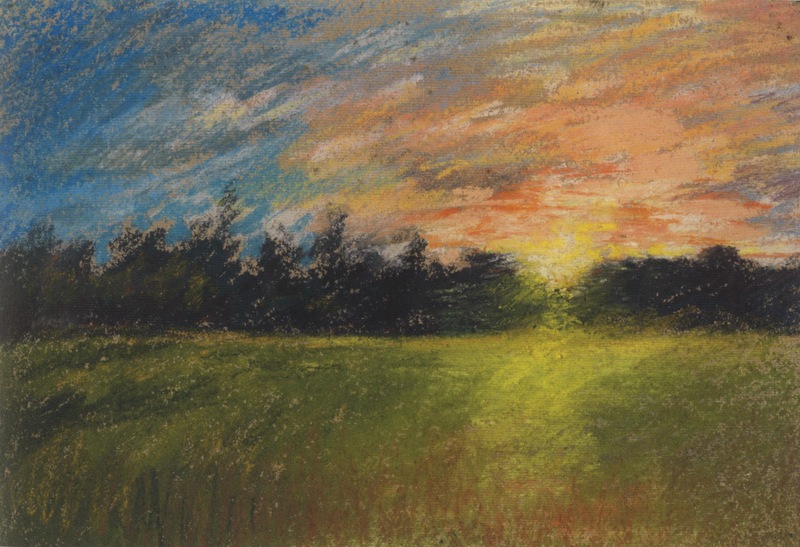 Paul Huet, A Meadow at Sunset, pastel. 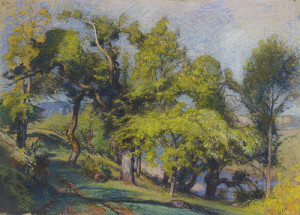 Watercolor techniques range from the tightly rendered paintings of Alexandre Calame, the confident brushwork of Gustave Dore, to the fresh and freely painted pointillist works by Paul Signac. 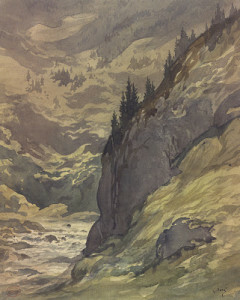 Gustave Dore, A River Gorge in a Mountain Landscape, watercolor. Charcoal drawings range from a luminous figure study by Albert Besnard to the dark, ominous, tonal work of Charles Angrand and sensitive realism of Leon Augustin Lhermitte. 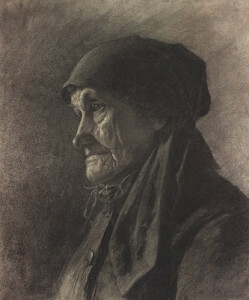 Leon Augustin Lhermitte, An Elderly Peasant Women, charcoal. The show features the use of pastels, which in the 19thcentury became a favored medium by many artists thanks to the development of richer pigmented chalk pastels. Paul Huet uses a bright palette to layer color in describing a meadow at sunset. 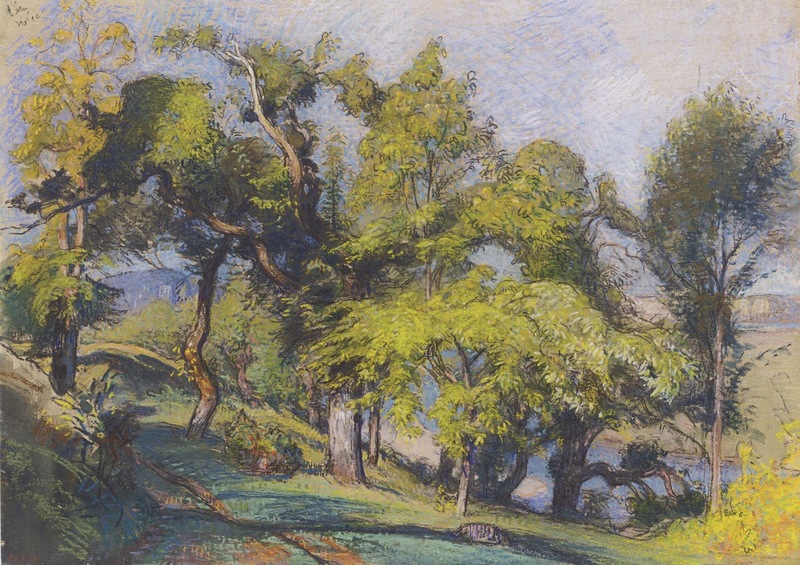 While Auguste Louis Lepere uses an analogous palette of pastels to draw a pastoral scene. Auguste Louis Lepere, Chestnut Trees above a River, 1900, pastel. 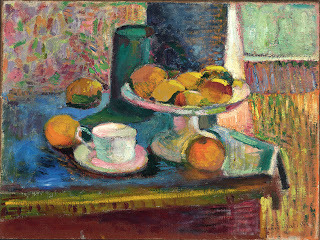 It is often thought that the impressionist artists didn’t create many drawings as they painted spontaneously from life. 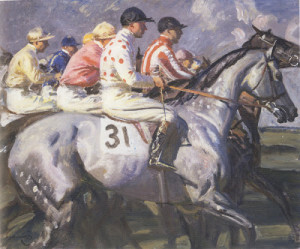 This show offers many opportunities to see impressionist works on paper. An atmospheric pastel drawing by Claude Monet was done in London while he waited for his oils paints to arrive. 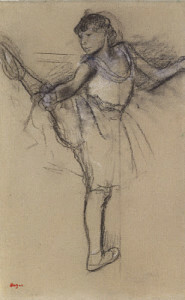 Edgar Degas is one of many impressionist artists who enjoyed drawing techniques. 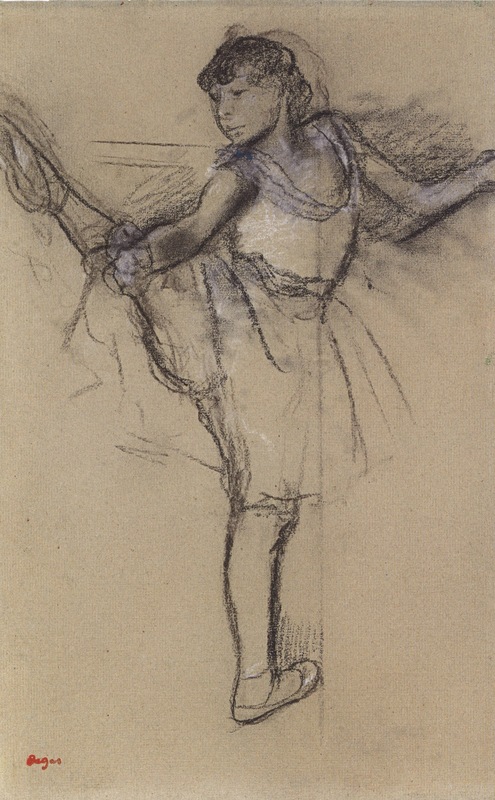 The exhibition includes a few masterful drawings by Degas they are inspired in their use of the compositional space and in there animated effects. 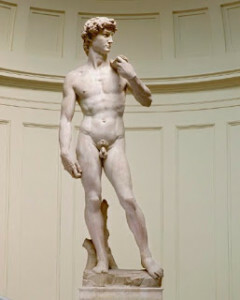 I recommend an excursion to the National Gallery of Art to see this inspired exhibition. I also recommend the exhibition catalog. I am taking a class at the Art League in Alexandria, Virginia with instructor Robert Liberace. Liberace is an accomplished painter, sculptor and draughtsman. 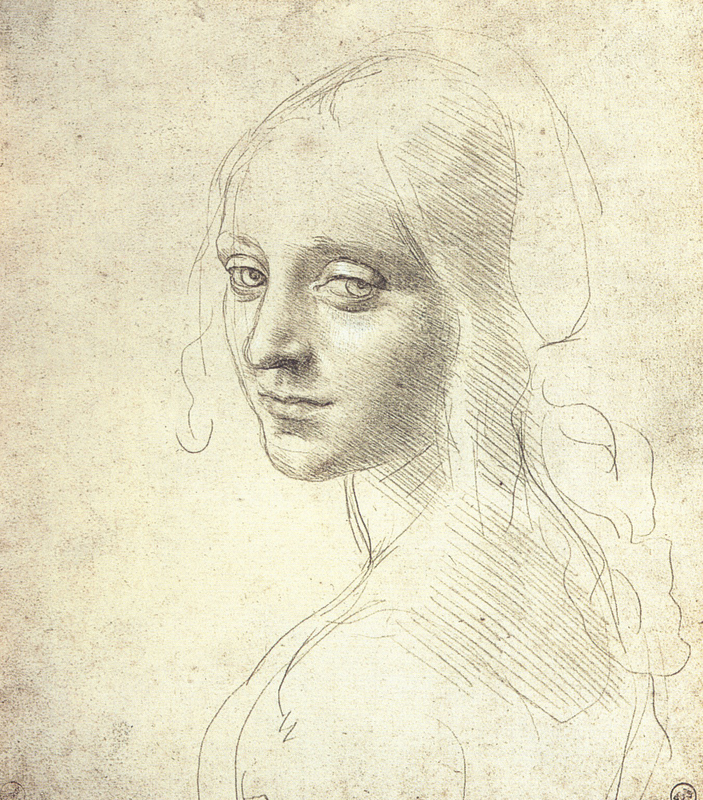 The class, “Figure and Portrait: A Modern Approach to Classical Drawing”, explores drawing the figure through master techniques, such as silverpoint, pen and ink, charcoal, red chalk and graphite. I hope to post on these various techniques in the coming weeks. 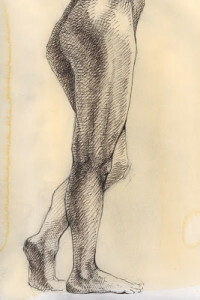 Robert Liberace, Figure Study in pen and ink, 2012. The past two weeks we have been using pen and ink with watercolor washes to create a three dimensional drawing of the figure. Pen and ink, using flexible nibs, allows the artist to create energetic, dynamic sketches. 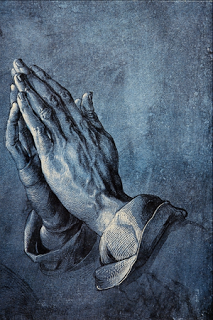 Rembrandt’s pen and ink drawings, characterized by his calligraphic line, are great examples of this technique. Pen and ink can also be used for longer more detailed studies. It was a favored medium of Michelangelo, Leonardo, Durer and many other masters. Liberace recommends using a slightly textured text weight paper such as Twinrocker in “Calligraphy Cream”. 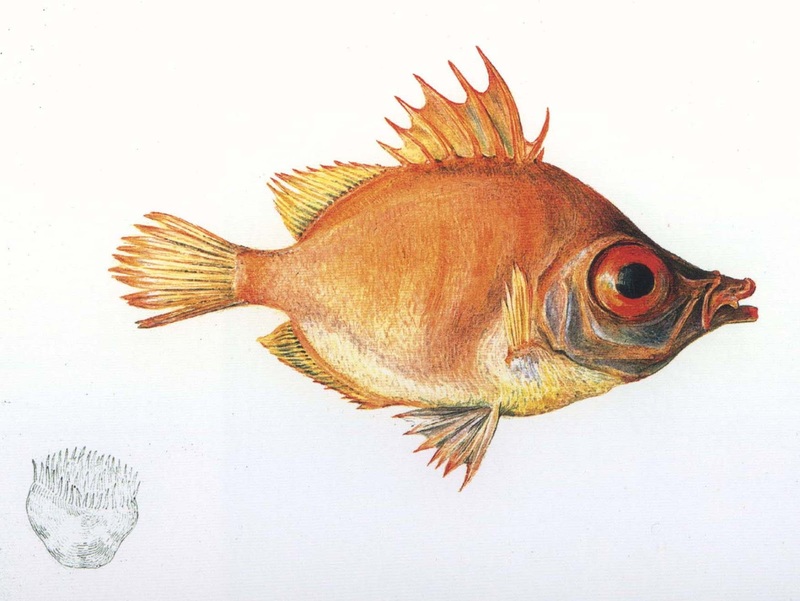 To add warmth to the paper he coats it with a light watercolor wash using yellow ochre or raw sienna. 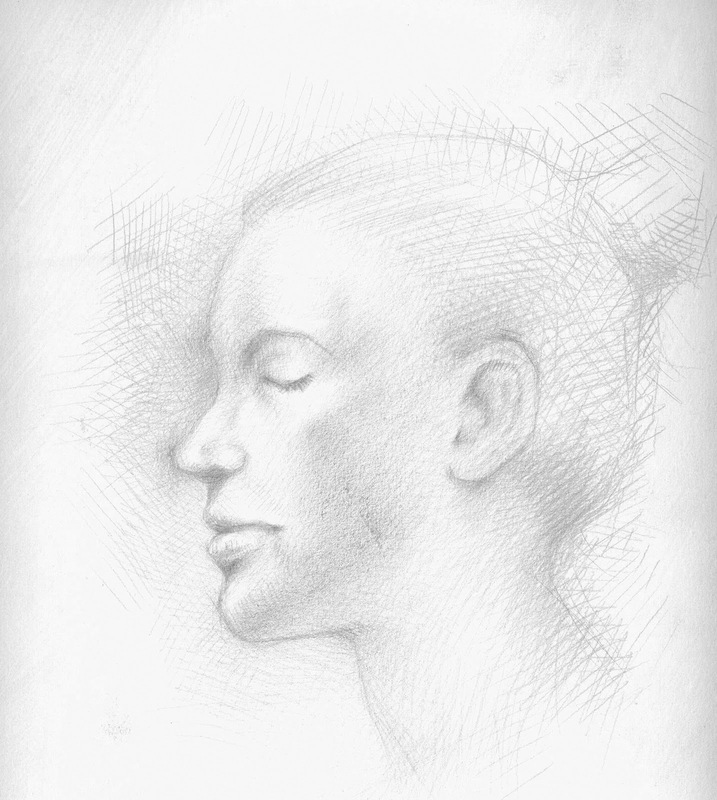 Since pen and ink is an unforgiving medium (erasing is difficult if not impossible) most artists begin with a simple pencil sketch of their subject. Michelangelo Buonarroti, Studies of the Holy Family, pen and ink, 1505. 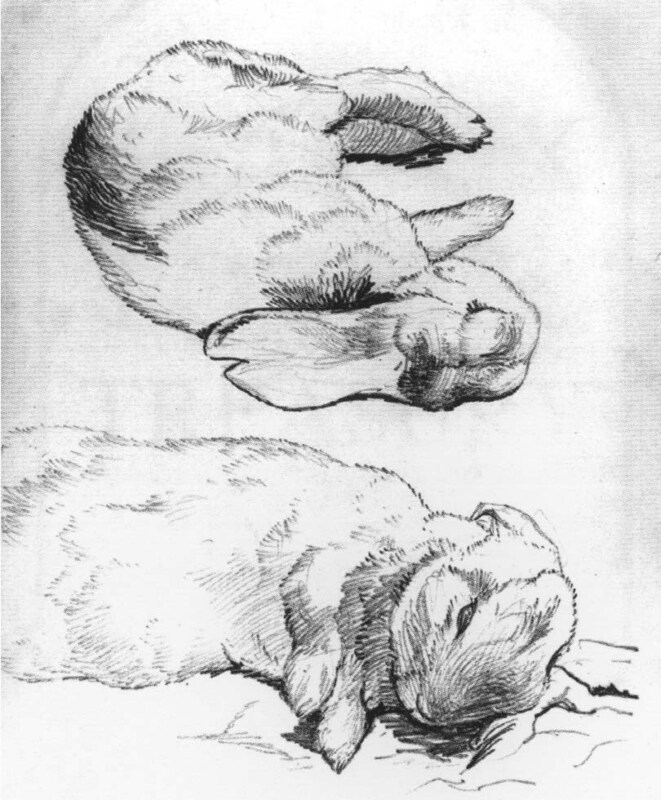 When ready to start drawing Liberace recommends using a sepia ink, such as seen in master drawings, with flexible nibs. The nibs allow the artist to create lines that go from thick to line as pressure is put on the nib. Rob also uses Micron technical pens as he draws. Technical pens (which store their ink in the pen) allow for a more consistent line. Marie Dauenheimer, Figure Study, pen and ink, 2013. I highly recommend experimenting with his wonderful medium! "Ecstasy of St. Theresa", 1652, Santa Maria della Vittoria, Rome. 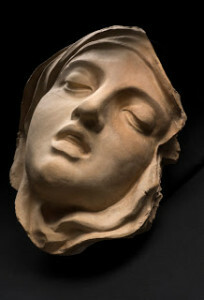 Terracotta bozetto for "Ecstasy of St. Theresa", 1647-1652. One of the most impressive “bozettos” in the show is a lion modeled for the “Fountain of Four Rivers” (1651) in Piazza Navona in Rome. As Bernini suggests in the above quote he modeled the lion from his "mind’s eye", a naturalistic lion exaggerated in its anatomy and expression! 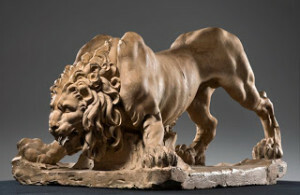 Terracotta bozetto for the Lion on the "Fountain of Four Rivers", 1649-1650. 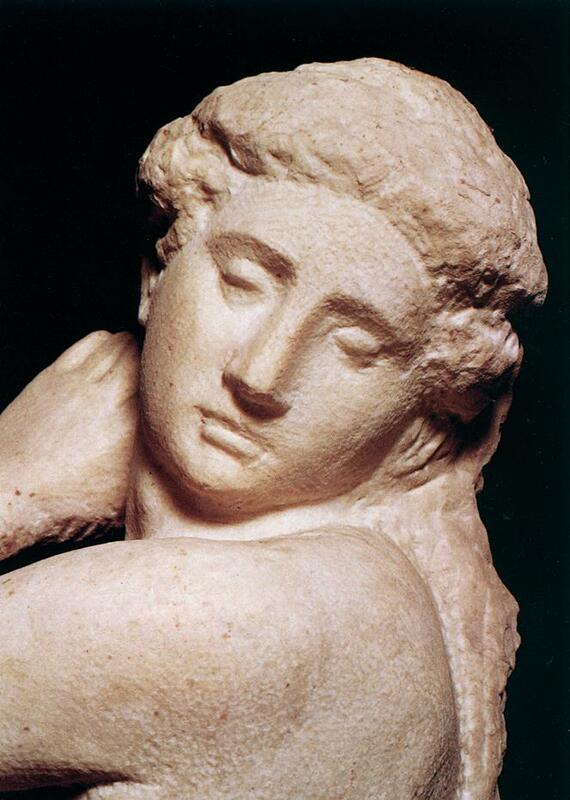 Terracotta bozetto for "Fountain of the Moor" 1653. I recommend the exhibition catalog "Bernini Sculpting in Clay" by C.D. Dickerson, III, Anthony Sigel and Ian Wardropper. In 1949 art critic Clement Greenberg wrote of Matisse “A self assured master who can no more help painting well than breathing.” Indeed when I look at Matisse’s paintings they show a confidence and bravado in the brushwork, colorful palette and composition. 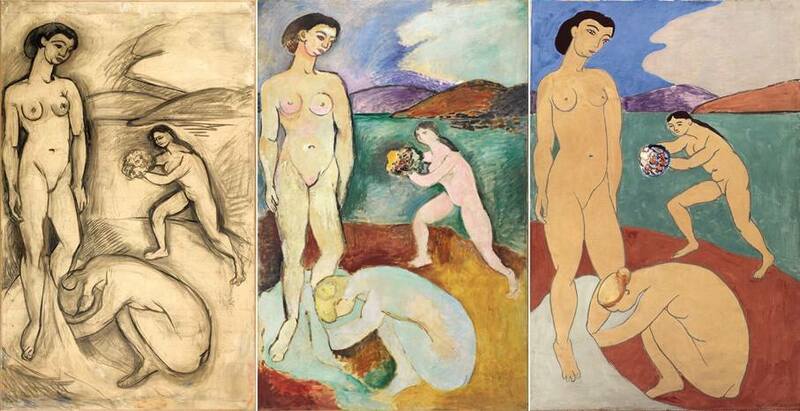 It was surprising to learn that painting never came easy to Matisse who "reworked, questioned and repainted". Beatrix Potter (1866-1943) is known to many as the creator of The Tale of Peter Rabbit and many other children’s stories. 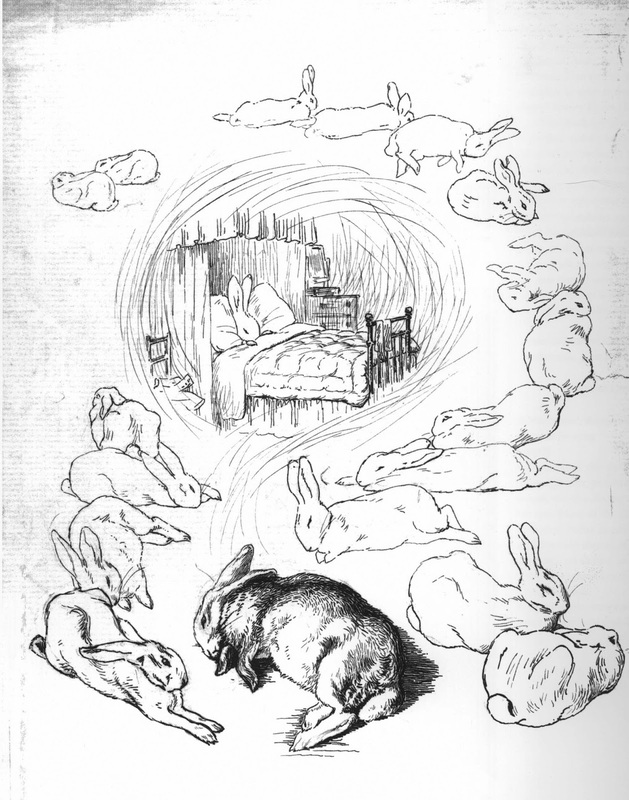 What may not be know is that Beatrix Potter was an accomplished scientific illustrator and an astute businesswoman. Both of these attributes added to her success as a children’s book author and illustrator. 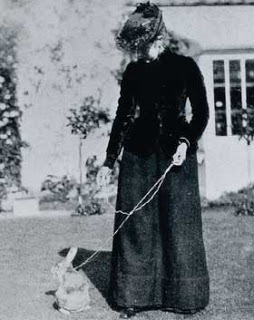 Beatrix Potter and her pet rabbit "Benjamin Bouncer"
Beatrix Potter was born in London in 1866 into an affluent family. She enjoyed time at her family’s city home and in the countryside. Beatrix and her brother Bertram had a menargie that included mice, rabbits and a hedgehog. When the family travelled to the countryside Beatrix was fascinated with her natural surroundings and explored them through drawing. Beatrix Potter's watercolor drawing of "Boar Fish", 1895. 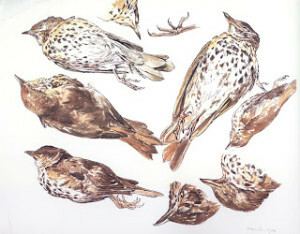 Beatrix Potter watercolor and pen and ink drawing of "Studies of a Dead Thrush", 1902. 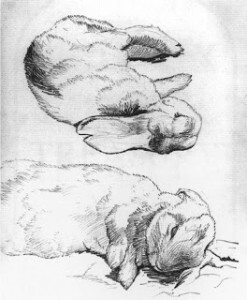 Beatrix Potter's sketches of her pet rabbit Peter, 1899. Beatrix attributed her success to the fact that her stories were written for “real children"- indeed a particular child. Her studies of animals from life and scientific investigation of mushrooms, plants and landscape add an unusual freshness to her illustrations. The animals are not mawkish or oversentimental. 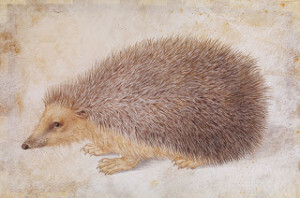 Her animal characters keep a sense of the animal they are drawn from. 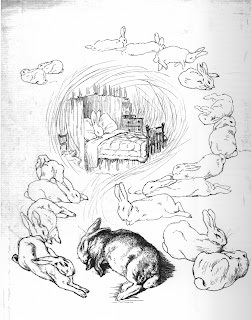 Beatrix Potter's illustrated letter "Peter's Dream of a Comfortable Bed" 1899. 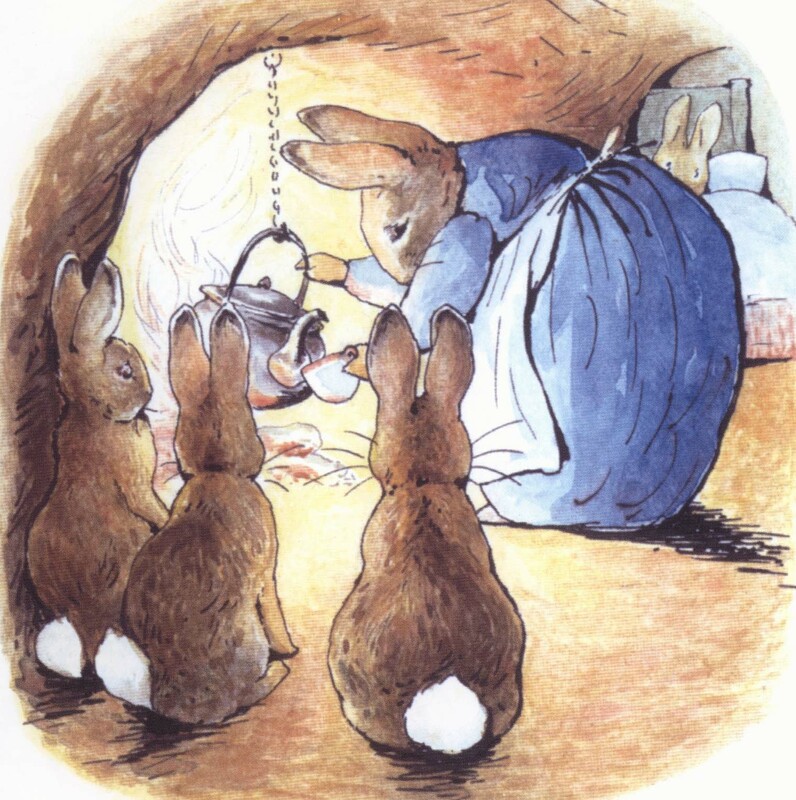 The exhibition includes early board games, stuffed animals and figurines based on the various Potter stories, ever the businesswoman Potter kept copyright and control of her famous characters. and made some camomille tea", 1907. 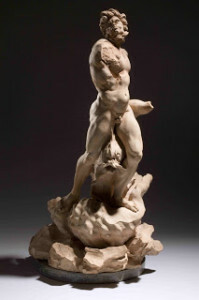 I highly recommend a visit to the Morgan Library to enjoy this delightful exhibition! Happy New Year! As we begin the new year I have been brainstorming about blogging topics for 2013. I was in New York for a few days and I plan on blogging about some amazing exhibitions I saw and plan on visiting. Among them are the “Bernini, Sculpting in Clay” and “Matisse: True Painting” at the Metropolitan Museum of Art. 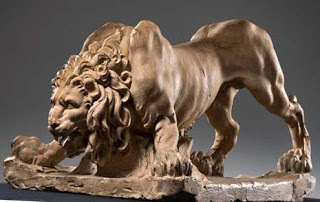 Bernini's terracotta sculpture model for the "Lion on Four Rivers Fountain" 1649-50. 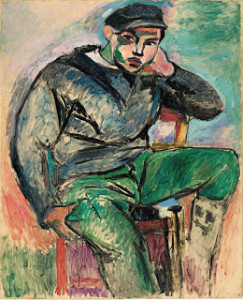 From the exhibition at the Metropolitan Museum of Art. The “Beatrix Potter, The Picture Letters” and “Durer to de Kooning” exhibitions at the Morgan Library are worth discussion and exploration. 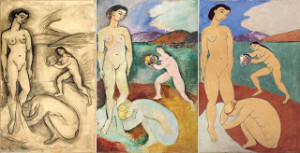 The Frick’s “Mantegna to Matisse, Master Drawings from the Courtauld Gallery” and MoMA’s “Inventing Abstraction” look fascinating. 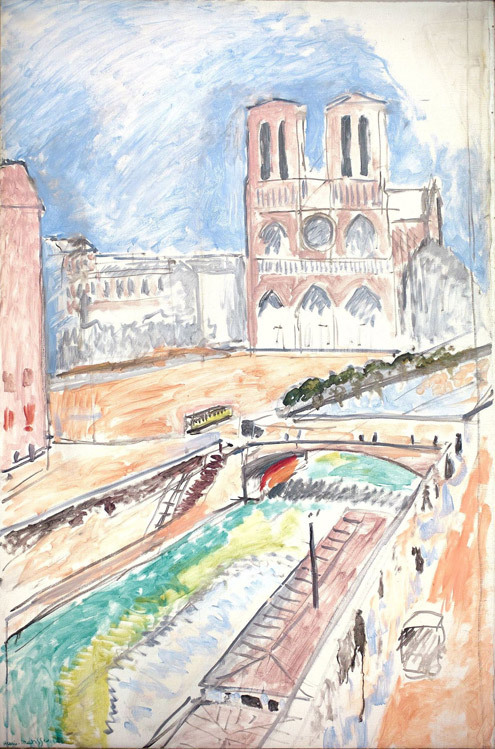 The National Gallery of Art’s upcoming French drawing exhibition “Color, Line, Light: French Drawings, Watercolors, and Pastels from Delacroix to Signac” is much anticipated for it’s varied collection. Pastel drawing by Auguste Louis Lepere, 1900. From exhibition "Color, Line, Light: French Drawings from Delacroix to Signac" at the National Gallery of Art. I plan on continuing to blog about master drawing techniques , such as pen and ink and wash and red chalk. 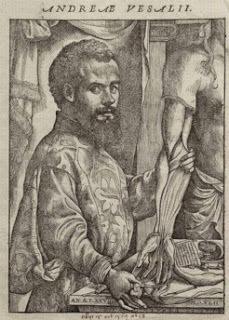 As I prepare my 2014 Vesalius Trust“Art and Anatomy” tour to Greece and Italy I will continue to blog about Andreas Vesalius whose 500th anniversary is next year! 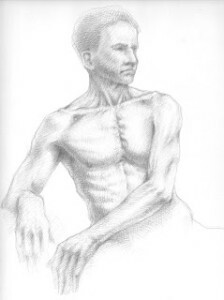 To reflect the focus of my blog I have added "Art and Anatomy" to my title. Pen and ink drawing by Jacques Bellange, 1610. 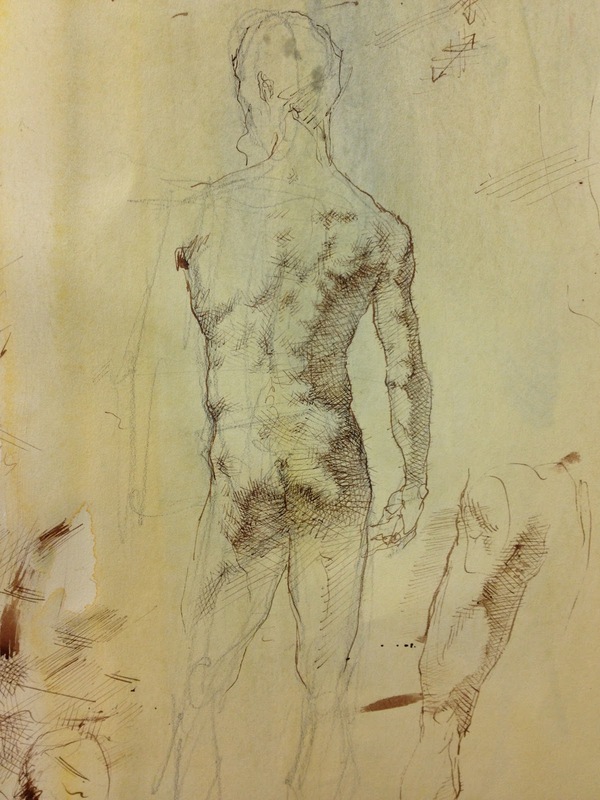 From the "Durer to de Kooning" exhibition at the Morgan Library. 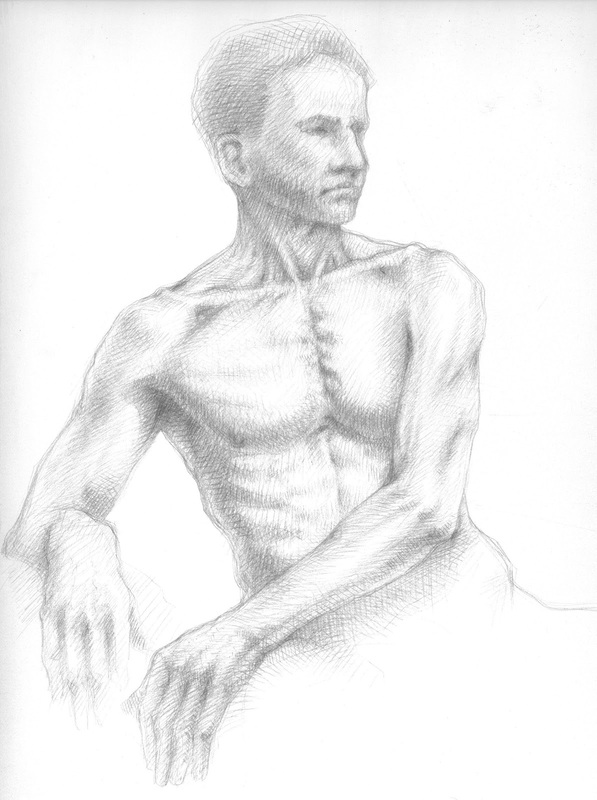 Thanks for reading, commenting and joining me on my art and anatomy travels! According to artist/author Juliette Aristides Lord Frederic Leighton worked on this rather large (21 x 15.5 inches) silverpoint drawing "from morning to evening for a full week". 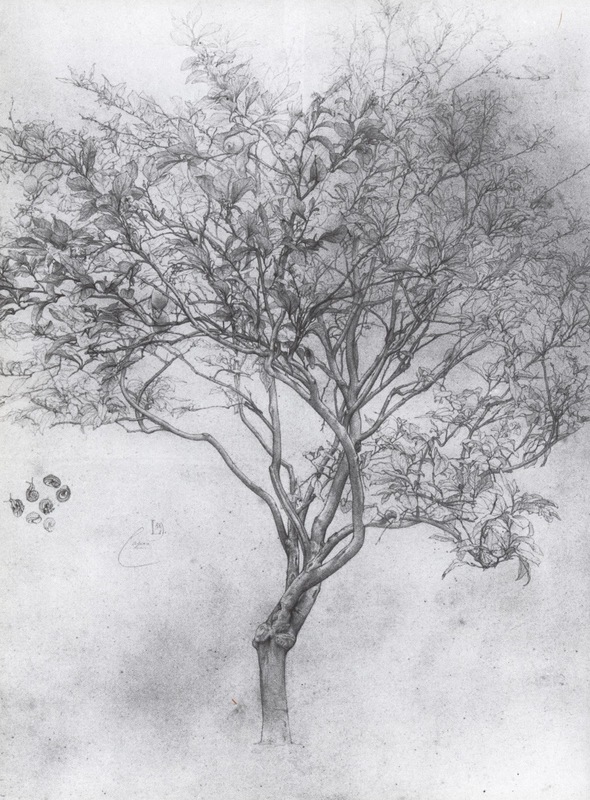 If you enjoy looking at master drawings there are two current exhibitions that you might want to visit. 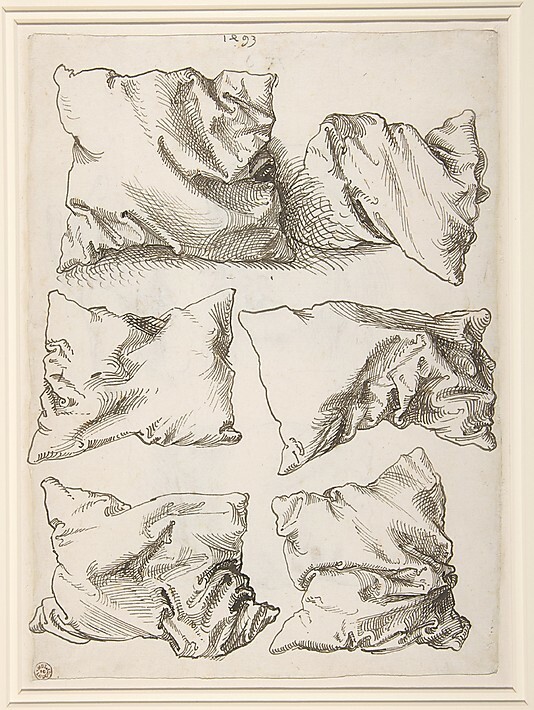 "The Mantegna to Matisse” exhibition at the Frick Collection, will be up through January 27, 2013 and the “Durer to de Kooning: 100 Master Drawings from Munich” is on view through January 6, 2013 at the Morgan Library. I plan on blogging about both these exhibitions. This past summer, while in New York, I saw two amazing and very diverse drawing exhibitions at the Metropolitan Museum of Art. 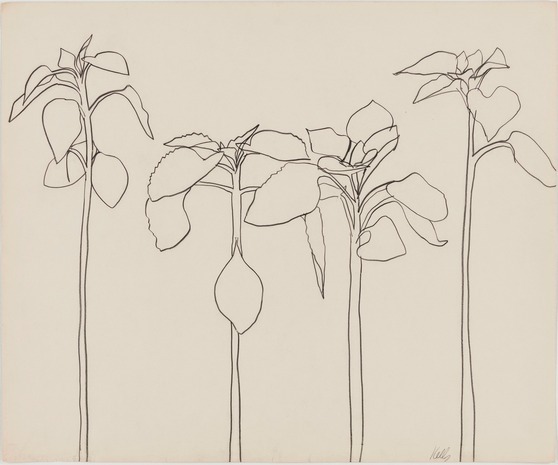 The shows were “Ellsworth Kelly Plant Drawings, 1948-2010” and “Durer and Beyond, Central European Drawings, 1400-1700”. Both exhibitions highlighted an abundance of drawings created using line. 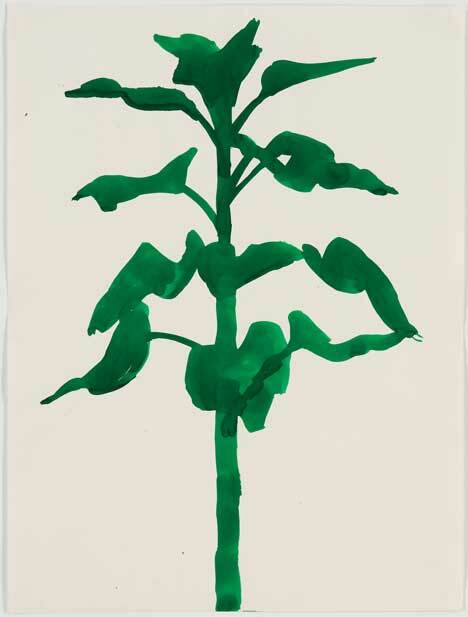 Ellsworth Kelly is an American artist born in 1923 and best known for his minimalist works. 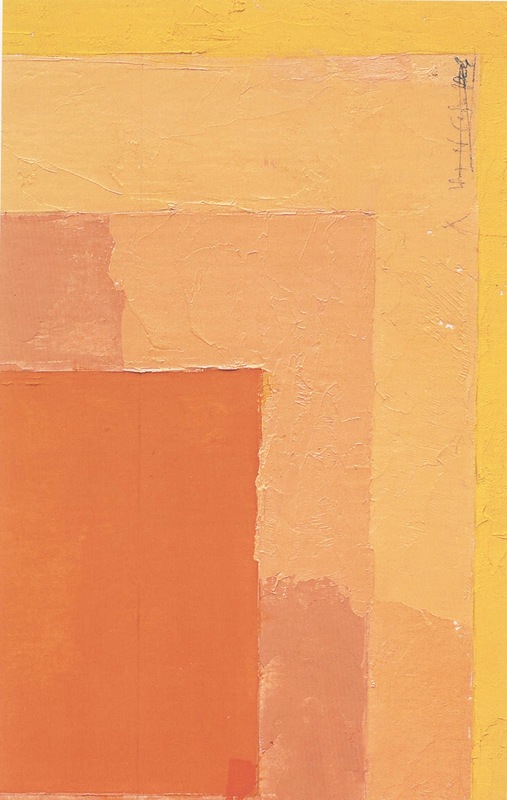 Kelly embraced the Color Field School in the 1960s and became known for his vibrant, clean minimalist paintings and sculptures. Regarding his interest in simple, minimal shapes and contours Kelly stated " I'm not interested in the texture of a rock, but it's shadow." 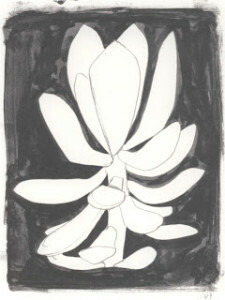 The exhibition at the Met focused on Kelly’s plant drawings, created over a sixty year period. 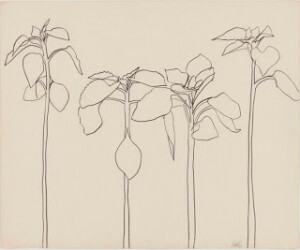 These simple elegant drawings, made with graphite or ink on paper or with watercolor, are stunning for their simple use of line and shape. Kelly is a master of composition, integrating negative and positive shape and keen observation skills. 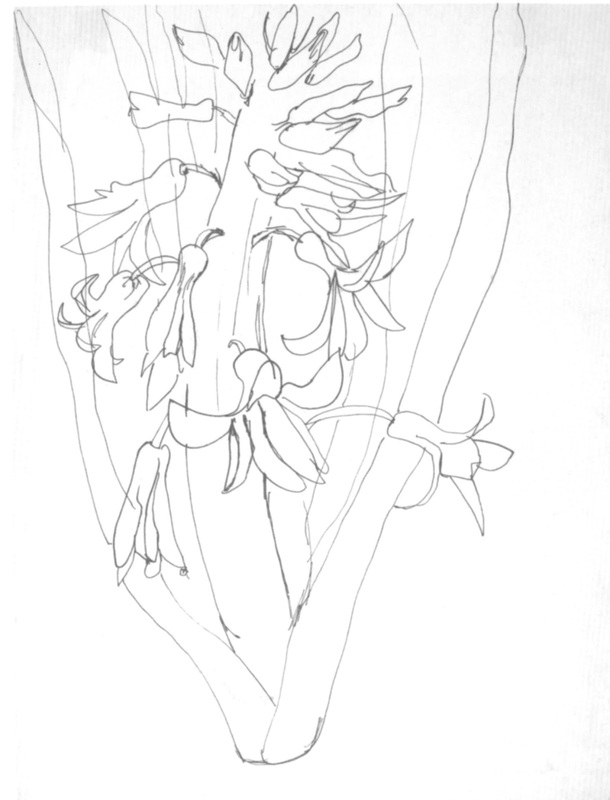 Indeed, his drawings read as portraits of an individual plant. While most of the pieces are 18 x 20 inches, there are some monumental drawings that utilize a strong vertical composition. 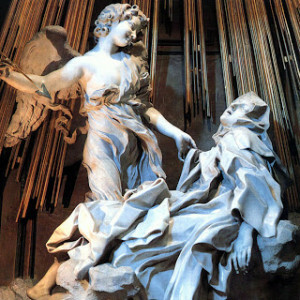 The overlapping of shapes and form create a sense of motion. 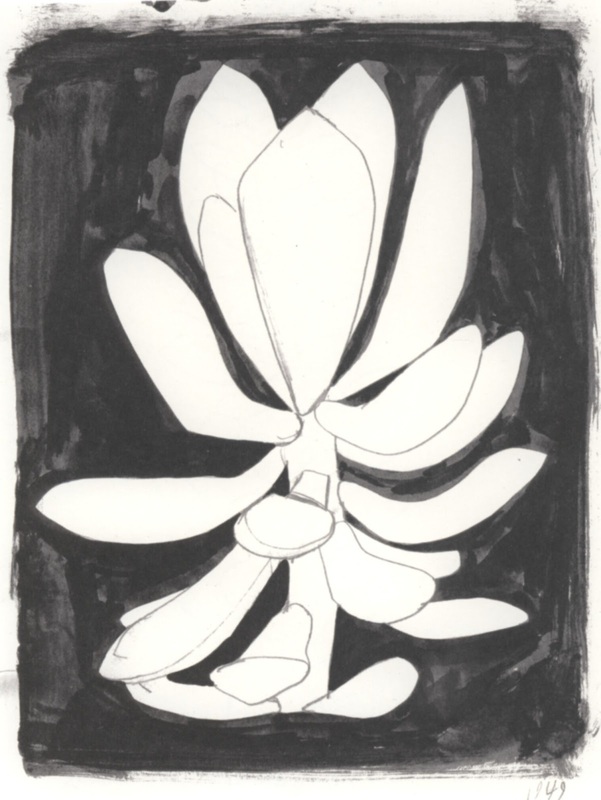 I highly recommend the exhibition catalog “Ellsworth Kelly Plant Drawings” by Michael Semff and Marla Prather. It is a beautiful publication and includes a comprehensive interview with Kelly conducted by Marla Prather in 2011. I will be posting about the “Durer and Beyond” exhibition in the near future.